Join us for our fourth RCF Gaza Committee Meeting where we will be working with New Image Theater and Seattle Mideast Awareness Campaign (SeaMAC) to present the play Seven Days from a Gaza Diary. We will be meeting at the home of our Board Member, Farihan Bushnaq for dinner and to share stories of Palestinian struggle for recognition and homeland. Arrive 6:30 pm for Dinner. Farihan will be making Mujedara, a delicious Middle Eastern dish of chicken, rice, and lentils. 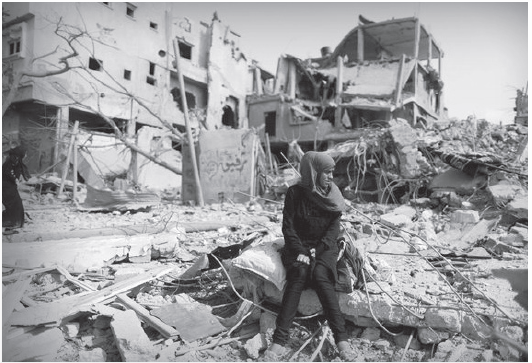 On December 27, 2008, a 27-year-old woman, Khulood Ghanem, was in Gaza City when Israel launched its massive, three-week military assault on Gaza known as Operation Cast Lead. Khulood kept a diary, making an entry about her experience every day of the assault. The first seven days of her diary have been adapted for a reading performance. This event open to the public and we ask for a suggested donation of $20 for dinner and to help support our Gaza Projects. Spaces are limited. Please RSVP to [email protected] so we can provide you with the address to the event. Current Situation: The people of Gaza are facing one of the most difficult periods since the Israeli military siege began ten years ago. Electricity provision is at an all-time low as a result of political calculations made by Israel and supported by the Palestinian Authority. As of July, the average Gazan’s access to daily electricity dropped from four to six to as little as two to three hours a day.De-development of the Gaza Strip is making it unlivable. For more resources about Gaza head over to our Gaza Resource Page. In order to devote needed and sustained attention to the deteriorating situation in Gaza, the Gaza Committee will support RCF’s work in Gaza as well as emerging issues in Gaza.